PAUL JAY:	Welcome to The Real News Network. I’m Paul Jay. Welcome to another edition of the Wilkerson Report. PAUL JAY:	So, Larry what do you make of these allegations? Most of the media seems to be saying Trump is alleging this in order to distract from the real controversy, which they say his and his administration’s connections to Putin and Russia. What do you make of Trump’s allegations? 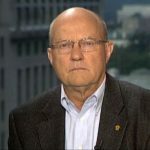 LARRY WILKERSON:	Well, I’m certainly not one, Paul, to defend HMS Trump and that whole entourage of people, but I will paint you a hypothetical here. There are a number of events that have occurred in the last 96 hours or so that lead me to believe that maybe even the Democratic party, whatever element of it, approached John Brennan at the CIA, maybe even the former president of the United States. And John Brennan, not wanting his fingerprints to be on anything, went to his colleague in London GCHQ, MI6 and essentially said, “Give me anything you’ve got.” And he got something and he turned it over to the DNC or to someone like that. And what he got was GHCQ MI6’s tapes of conversations of the Trump administration perhaps, even the President himself. It’s really kind of strange, at least to me, they let the head of that organization go, fired him about the same time this was brewing up. So I’m not one to defend Trump, but in this case he might be right. It’s just that it wasn’t the FBI. Comey’s right, he wasn’t wire-tapping anybody, it was John Brennan, at the CIA. And you say, “What would be John Brennan’s motivation?” Well, clearly he wanted to remain Director of the CIA for Hillary Clinton when she was elected President of the United States, which he had every reason to believe, as did lots of us, that she would be. PAUL JAY:	Now, Larry, do we have any evidence of this? Is this like a theory or is there some evidence? LARRY WILKERSON:	Well, it’s a theory that’s making its way around some in the intelligence community right now because they know about the relationship between the CIA and the same sort of capabilities, maybe not quite as vast as the NSA has, but still good capabilities that exist in London. I mean, otherwise the president just came out and said something was patently false. Generally speaking, you know, I would agree with that, with regard to this particular individual, but not in this case. PAUL JAY:	Now why would the British go along with this? LARRY WILKERSON:	Well, you have to understand this is a real problem, Paul, it’s been a problem for a long time. Only certain governments have national technical means that feature $5 billion satellites orbiting the United States and the rest of the globe and providing intricate national means of looking at other people 24/7. Even streaming video and so forth. There are only so many people who can afford that. We’re the biggest guy on the block so when we sidle up to France or we sidle up to Germany or Japan or anybody else, they have two choices, either cooperate with us and share in that treasure trove from time to time or they don’t cooperate with us and I’ll tell you what we do, we cut them off. So this is a very incestuous relationship. I saw this up close and personal when we were saying there were weapons of mass destruction in Iraq and we had Paris and Tel Aviv and Berlin and London and everybody agreeing with us. I now know why they agreed with us, more recetively(?) (sound difficulties – 00:04:45 – 00:05:05) You still there? LARRY WILKERSON:	Well, they agree with us because they don’t have any choice. Their choices are stark. They agree with us and hope it doesn’t rebound to their discredit or hurt them or they don’t agree with us and we cut them off. PAUL JAY:	Okay, now let’s go back to Trump’s allegations. Trump does not seem to be shy about just making stuff up from whole cloth without any basis at all. Why would one thing this isn’t just another fabrication? PAUL JAY:	I’m not saying it is. I’m just asking, is there any reason to think that we know that he’s not making this up? LARRY WILKERSON:	No, except that the series of events that occurred lead me to believe that John Brennan was, in fact, working with London and perhaps something came out of that, that might have assured John Brennan of a continuation of his role at the CIA with a new administration headed by Hillary Clinton. That makes every bit of sense to me when I think about it. And remember, I’ve been there and I’ve seen this stuff. PAUL JAY:	Okay. We’ll have to wait over the next few days or hours and see if more hard evidence follows out. But let’s go look a little further, if you’re right, Brennan’s helping Clinton, you have different sections of the intelligence community helping various players. Some of them seem to be turning on Trump, some are feeding Trump, some are supporting him, it’s like you got little fiefdoms in the intelligence community all with their own agendas here. LARRY WILKERSON:	This is very disturbing. It’s happened in the past, of course, when we politicized intelligence. It happened when Bill Casey and Ronald Reagan when Bill Casey made the case for a Soviet buildup so Reagan could justify his arms buildup in the U.S.. The Soviets were not involved in a buildup at all. That was all fabricated intelligence. It’s happened with Henry Kissinger and Richard Nixon from time to time. But this is a new level of 17 different heavily funded intelligence agencies and groups, headed by the DNI and the CIA all apparently playing their own little games within various segments of a political community in this country and leaking accordingly. And I don’t eliminate the FBI from that either. Why else would Comey come out, for example, just prior to the elections and say he had other e-mails and imply that they might be damning of one of the candidates? It’s everyone playing in this game and it’s an extremely dangerous game. 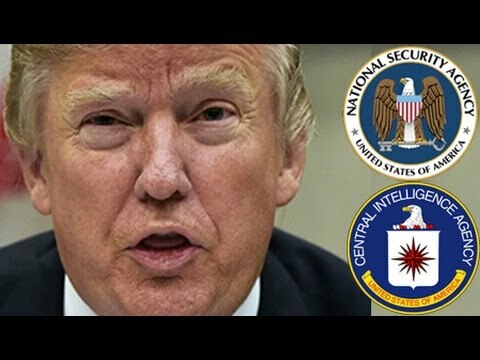 PAUL JAY:	Is part of what’s going on here, is that all of these institutions whether it’s CIA or FBI or NSA and on and on with all the alphabet, that their first priority, their deepest interest is their own agency. Their existence, their funding, their own jobs, that this is really — it’s not about some supposed national interest to start with it starts with just who these guys are and they become entities unto themselves. LARRY WILKERSON:	Absolutely. Hoover, take Hoover at the FBI, during World War II, it can be proven, it can be analytically demonstrated that Hoover spent more man hours and more money trying to look at his own administration, trying to gain power over elements of that administration than he did looking at the Nazis. I mean, this is not anything new, it’s just come to a depth and a profundity of action that is scary and dangerous. LARRY WILKERSON:	The decay of (sound difficulties) empire hat on and I will tell you, yes. You’re right. This empire is decaying at a rapid rate. And it is not just reflected in the fact that we can’t govern ourselves, the fact that we have a congress that can’t even see the nation for the trees. My political party, Paul, right now thinks that it’s going to achieve its full agenda or at least a good portion of it while this buffoon in the White House twiddles his thumbs. They don’t see the country. They don’t care about the country. All they want to do is achieve their agenda; social, economic and otherwise. This country, in all of its components, whether it’s government or it’s finance, economics or whatever, is falling apart. PAUL JAY:	Thanks very much for joining us, Larry. LARRY WILKERSON:	Thanks for having me, Paul. PAUL JAY:	Thank you for joining us on The Real News Network.